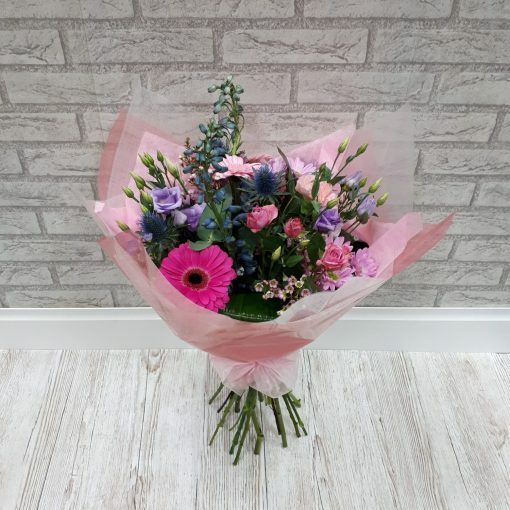 A seasonal mix of flowers in a hand tied Bouquet including, Lisianthus, Spray Roses, Wax Flower, Delphinium, Thistle and Gerbera, complimented with select foliage. 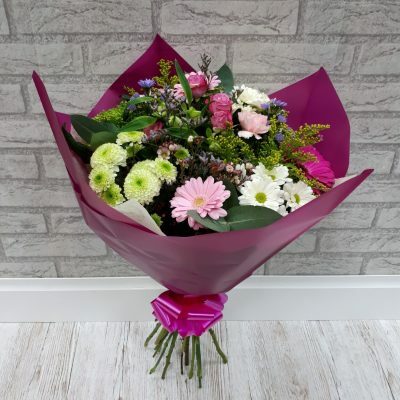 The Bouquet is 27 inches (69cm) in height and 15 inches (38cm) in width. 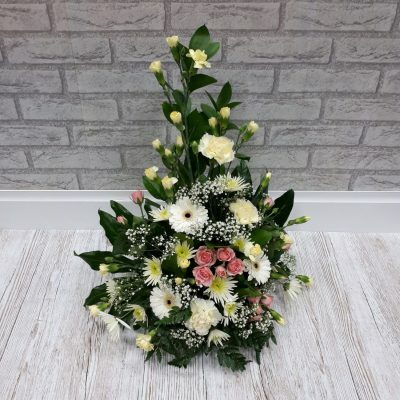 This Bouquet is gift wrapped with cellophane and a bow.